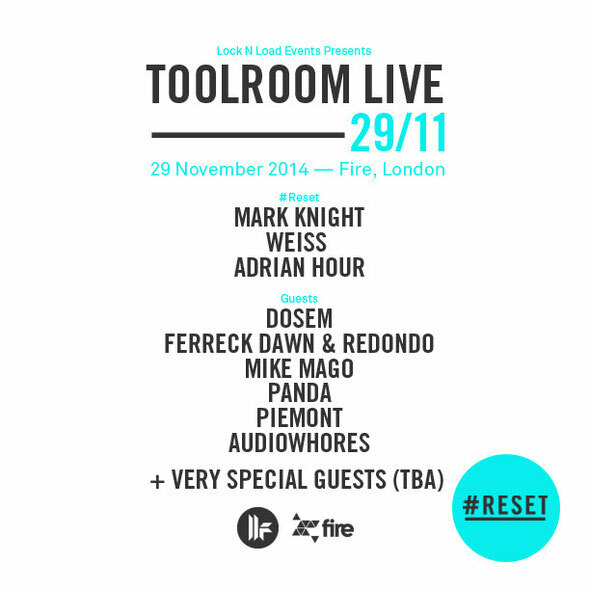 Toolroom recently announced the UK launch of Toolroom Live – a brand new club concept from one of our favourite dance labels, debuting at London’s Fire Complex on 29 November. As the first European installment of the Toolroom Live concept, its London debut cuts to the core of what the label is all about: credible and quality House music from across the globe. Initially teased by a series of #RESET tags via social media and the word that Toolroom was changing, a dual roster and brand shake-up see Mark Knight’s brand emphasising its position as a label created by and for the lover of house music. Just two weeks after its North American debut at Avalon LA, and with ‘Toolroom Live 01’ mixed by Mark Knight, Weiss and Adrian Hour doing well, Toolroom is coming home to the city where it all began, bringing with them possibly their strongest and most diverse line-up to date. 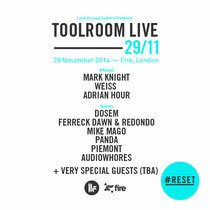 Led by Mark Knight, Toolroom Live’s London launch digs deeper into the label’s musical spectrum than ever before. Spaniard Dosem and Toolroom’s latest signing Adrian Hour join the label head on main room duties, bringing many shades of deep, house and techno to the front room for the event. Room two focuses on some of the cutting edge European talents now dominating the label’s musical space, with Holland’s Mike Mago, Redondo and Ferreck Dawn, Toolroom’s Weiss, Germany’s Piemont and the UK’s Panda. With a very special main room guest still to be announced, Fire Complex’s three rooms will play host to one of the most comprehensive spotlights on Toolroom’s sound to date, scaling underground house right through to main room techno.